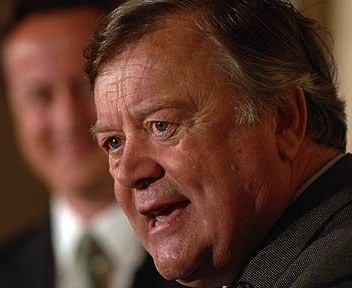 The appointment of Ken Clarke as the new Justice Secretary may have saved the Human Rights Act 1998 from repeal. The Conservative plans for the Act to be replaced with a Bill of Rights may be scrapped in any case under the full terms of their agreement with the Liberal Democrats. In the mean time, supporters of the Act will be encouraged by supportive statements by the new Justice Secretary. The policy agreement between the two parties has now been published, and the Human Rights Act is notable by its absence under section 10, entitled “Civil Liberties”, which promises to “reverse the substantial erosion of civil liberties under the Labour Government and roll back state intrusion“. What the agreement does promise, amongst other things, is the scrapping of the ID card scheme and the Contact Point Database, extending the scope of the Freedom of Information Act and protecting the right to trial by jury. There will also be a “Great Repeal” or “Freedom” bill. Whilst he may have hedged his answer, Mr Clarke gave an even clearer indication of his views in 2006, when David Cameron first announced his plans to repeal the Human Rights Act. He said that “I think he’s going to have a separate task force on the Bill of Rights, isn’t he? He’s going out there to try to find some lawyers that agree with him, which I think will be a struggle myself.” Even more strikingly, he went on to describe the presentation of the Act as a foreign invention to be “anti-foreigner” and that “I think the Convention of Human Rights was written by a Conservative lawyer after the war. It was a British document“. Ken Clarke, well known within his party as a fan of European integration, is to be the new Lord Chancellor and Secretary of State for Justice. Like his predecessor Jack Straw, he started out as a barrister and became a QC in 1980 whilst he was already part of the Thatcher Government. His views will be key in shaping the new Government’s policies towards civil liberties. Safety for the 1998 Act? Of course, Mr Clarke’s 2006 comments do not necessarily reflect his views now, and his word will not be final when it comes to policy. Further, it is notable that the Act’s repeal, a well publicised plank of the Conservative Party manifesto, has been left out of the draft policy agreement. Given that the civil liberties section is fairly detailed, this is probably deliberate. It may be that a Bill of Rights in some form is still on the policy agenda, perhaps to work in tandem with, rather than as a replacement to, the Human Rights Act. It is also notable that the Liberal Democrats’ longstanding policy to introduce a written constitution, which some commentators argue would be the best way of enshrining and protecting the Human Rights Act in future, is also absent from the policy agreement. However, on balance it seems likely that the new Justice Secretary’s pro-European outlook and past comments, an addition to the Liberal Democrats’ manifesto commitment to protect the Human Rights Act, puts the Human Rights Act in a far stronger position than it would have been in the face of Conservative majority parliament.